Tyler Ryan is an award winning television and radio personality, writer, and speaker. Tyler began his career in the decade of hair rock at a small radio station in Keene, NH. After college, he found a niche as a country radio morning personality, and event host. 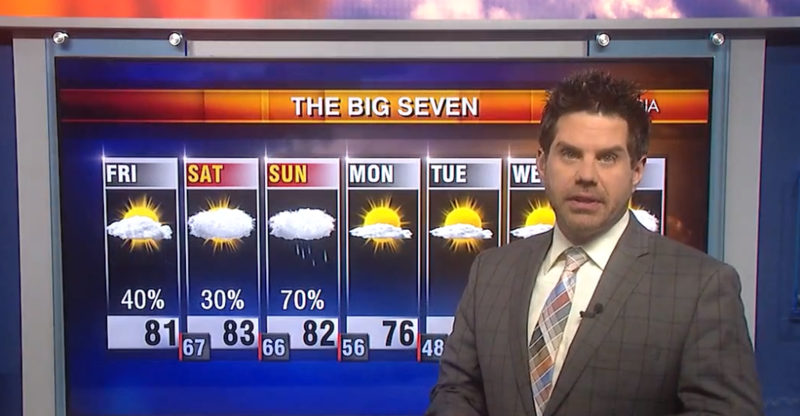 That high visibility position lead to him dabble in television as a spokesman and veejay at a local station. Fast forward a decade..or so…and Tyler found himself on the air at Cat Country in Charleston. He also began honing his emcee and public speaking skills, along with continuing to work in television. In 2005, Tyler was tapped to join a new country radio station in Columbia, as the morning show host, community liaison, and making frequent trips to Nashville to meet, build promotions, and interview some of the biggest country stars in the business. Tyler also continued working in the community, serving on boards, and acting as emcee for over 100 community events a year. 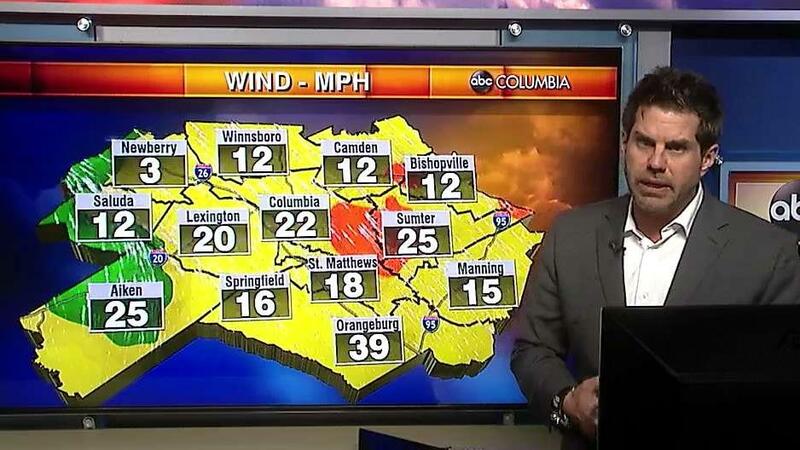 In 2007, Tyler joined the Fox affiliate in Columbia as a weatherman. That led him to anchoring and hosting the Fox morning show for several years. While at Fox, Tyler produced many franchise programs, including an hour long look at basic training at Fort Jackson, and hosted a cooking competition show. Tyler also covered hard news including the AME shooting in Charleston, the Gabbie Swainson disappearance, as well as several investigative pieces surrounding unsolved crimes, and the dangers of the Internet, and Columbia’s long search for a new Chief. In 2013, Tyler was honored to be named the South Carolina Broadcasters Association Television Personality of the Year. 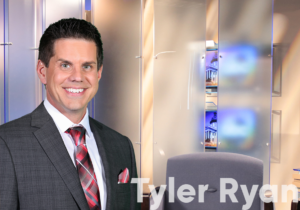 After a stint as a cruise director – yes, like Julie McCoy – In 2016, Tyler joined the team at ABC Columbia in September, as a weatherman and host for Good Morning Columbia and ABC Columbia News at Noon, as well as working on consumer affairs, cold cases, and other content. Tyler is often called upon as an emcee and public speaker, in the Midlands and beyond, having hosted the Famously Hot New Year, Lexington Medical Center’s Women’s Night Out, The First Responders 9-11 Ceremony, Ian Beckles Blue and White Party in Tampa, and has hosted events for The Tennessee Breast Cancer Coalition, SC Home Builders Association, various chambers of commerce, the Cancer of Many Colors event, and many other high profile events. Tyler continues his work in the community, serving on various boards, including the YMCA, National Safety Council, and South Carolina First Responders Memorial. He also is a member of the iHeart media family, sharing his voice across the family of radio stations in Columbia and beyond, hosting Carolina Cares and other programming. 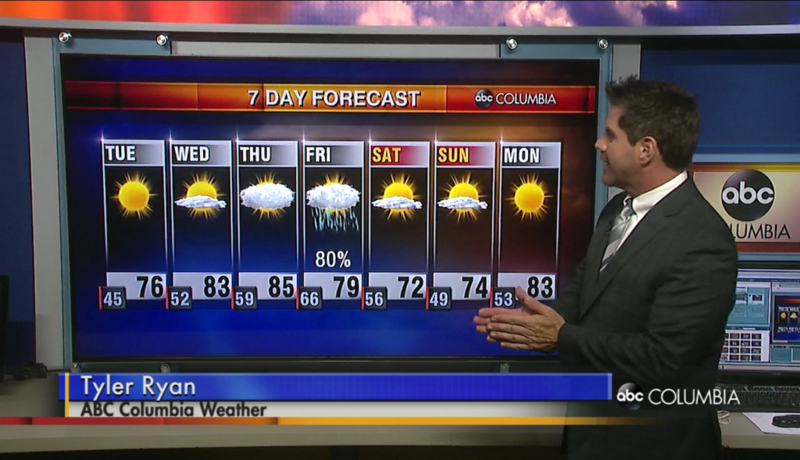 Tyler is very proud to be a part of the ABC Columbia family, and the experience that exists within the station. A VERY windy start to the day, with cool temps. The will will slow down as the day goes on, and bright sunshine will bring us 71 degrees.